Here's a technique that I've always found to be useful in retaining information that also helps in learning a second language at the same time. To explain how it works, first take a look at these two paragraphs about a random subject, in this case the constitution of Azerbaijan. Read over the information, then when you're done scroll down so you can't see the image anymore. 1) What can the president do and not do regarding the National Assembly? 2) Which article of the constitution specifies the state symbols? 3) Who checks and confirms the accuracy of election results? Er...chances are a person who read the above would get at most one out of three. The reason for this is a tendency to skim over content in one's native tongue, since without this ability to skim over content we would never be able to get through a newspaper or read a novel in any reasonable period of time, or go over a 1000-page health care reform bill. So when absorbing information in one's native tongue the only way to do so is to either slow down the pace to a nearly maddening level (one sentence, memorize, one more sentence, memorize, check last sentence...) or to go over something over and over again. Real-life experience naturally helps here too, but not everyone has access to this. So what's the other way of going about this? It's only possible if you are in the middle of studying another language, and have continuous access to high-speed internet. What you do is find the same content you need to learn in another language, and go over that. Since when learning a language chances are you will find a word or two you don't know in most sentences, this will prevent you from reading too fast. 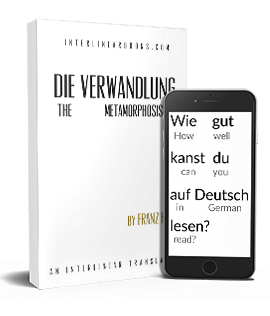 Not only that, but if the language you are learning is related to English (a Germanic or Romance language for example), the terminology they use may actually help to understand the English vocabulary in greater depth as well. One simple example of this: you are learning about German history and happen to be studying either German or Dutch, and thanks to this make the connection for the first time that the Volk in Volkswagen is the same as the English folk. But doesn't this take a great deal of time? It does if you have to refer to a dictionary alone to understand the text, but luckily you don't have to. It requires using Firefox though. If you don't have it then download it, and then install the Google Translate (gTranslate) add-on. Now that you have this you can translate any text simply by highlighting it, then hitting the right mouse button and holding the mouse arrow over the translate button. Google Translate isn't good enough to replace human translators but it's certainly more than sufficient to understand a text. Here's what it looks like in practice. That's it. It's a very simple method. Just use a language you're studying to learn the same thing you're studying now, and use the gTranslate add-on whenever you find a word you don't understand. Instead of habitually skimming over paragraphs you know you should be paying closer attention to, now you don't have the option anymore and are forced to pay attention to each and every sentence...and are also learning a new language at the same time. Well, English is my second language and I could still only answer the last question. I think I could say that about my other languages as well. I remember at the times I had French classes and used to read similar texts, I would read a text and afterwards, having the questions in front of me, I could only answer very few. I think it has more to do with how interesting you find the text instead of what language you are reading it in. Why is "German" a tag in this post? Isn't that language Dutch? Good point. How did that get in there?